Home audio firms Marantz and Denon have added to the list of receivers and sound bar models on the market that will receive an update to support AirPlay 2. On Wednesday, Apple released a list of third-party products that will gain support for AirPlay 2 in the future, including items already on the market and some that will be shipping soon. The list, made up of 32 products, included items from Bang & Olufsen, Denon, Libratone, Marantz, Naim, and Sonos. 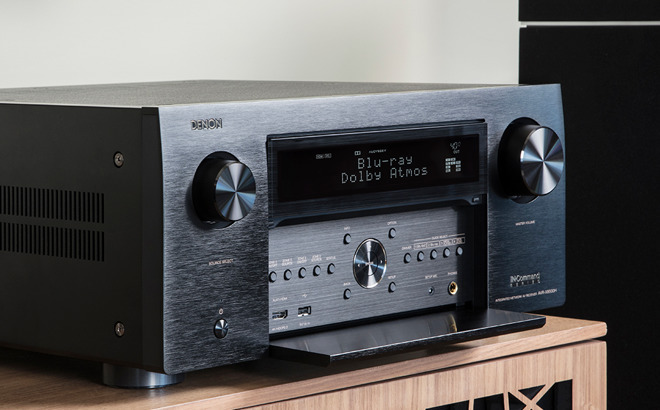 Marantz and Denon supplied Poor Audiophile a complete list of devices that are planned to receive software updates adding AirPlay 2 compatibility in the future. While Apple's list included ten items from the Marantz and Denon product lines, the version provided by the manufacturers identifies 29 products that will be updated. The latest list also seems to suggest some mistakes were made on Apple's version, as some models that appear on the first list do not appear on the second. Apple identifies the Denon AVR-X6500H and the Marantz AV7705, NA6006, SR5013, SR6013, and SR7013, but these are not visible in the updated list. Just as with Apple's announcement, Marantz and Denon has not advised of when support for Apple's home streaming technology will be rolling out in a firmware update. Released to the public as part of iOS 11.4 on Tuesday, AirPlay 2 updates Apple's home streaming platform with support for multi-room audio, allowing users to play music across multiple speakers, or shift playback from one room to another. Currently the Apple's own HomePod is the only speaker on the market that supports AirPlay 2.